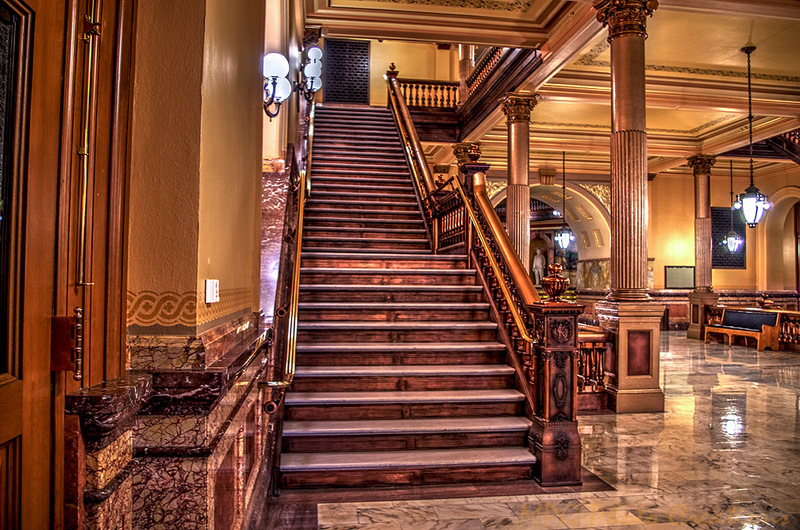 We got to visit the Kansas State capitol in Topeka last week and got a tour that was rather nice because we were basically the only ones there so easy to get a photo. They have been restoring the capitol and it's absolutely gorgeous with all the copper and brass and beautiful limestone and woodwork. This is an image of one of the staircases that I used for my B&W project today. I almost hated to take the color out of it since it was so rich. I processed this as HDR to really bring out the details.